Diagonal Mar is a neighbourhood in Barcelona next to the sea. The location is 4 km from the Olympic Port. Big attraction is the Diagonal Mar Center Commercial. 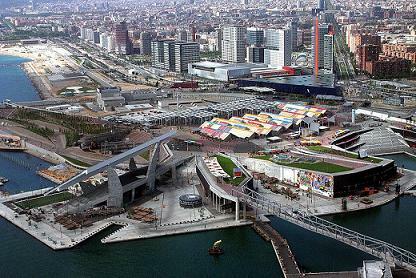 Diagonal Mar Center Commercial is the largest shopping center in Catalunya. It has more than 180 stores and restaurants including a Primark, Nespresso, Nike Store, Rituals, Starbucks, Swarovski, Yves Rocher and Zara. The neighbourhood in front of the shopping center is Parc Forum. In 2004 the event ‘Universal Forum of Cultures‘ was held in this area. The event lasted 141 days and hosted 40 international conventions, 20 exhibitions and more than 400 concerts. The metro station nearby the shopping center is El Maresme|Forum.